Hot Chicks Dig Smart Men: Ravenclaws, Unite! Do you love the Harry Potter stories? Do you love to read, and want to share reading with underserved children who may not otherwise have an opportunity to develop a love of reading? Then this fundraiser is for you! For millions of children across the world, basic access to books and literacy programs is hardly a given. The Harry Potter Alliance is engaged in a permanent campaign to balance the scales. Our ultimate goal is to raise 1 million books for schools, community centers, and literacy programs across the world. We also endeavor to build 25 permanent libraries in places that need them. Last year, we had our most successful Accio Books yet, with over 100,000 books raised for 50 literacy programs across the world and a new library established at a new school in Masaka, Uganda! This year, we are partnering with Words Alive, an organization that provides literacy and education services to over 5,000 children and families in Southern California. HPA chapters and members will raise thousands of books for Words Alive, allowing the organization to provide quality books to students of all ages for many years to come. Many chapters outside the western United States will choose to donate books to schools and programs in their local communities. Overall, we expect to match last year’s incredible effort, with dozens of communities across the world transformed by the generosity of our members. As you all know, libraries are a passion of mine, and while I love to work with and donate to my local Library District, my County is hardly underserved in this regard. So it's a good thing to support communities who may not have as many resources to share in encouraging a love of reading. But kids can't enjoy these benefits unless they have access to books and are encouraged to read. 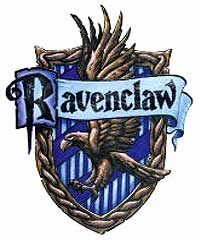 Are you a Ravenclaw (like me)? A Gryffindor? A Hufflepuff? A Slytherin? Support the cause by donating to your House Team, and get a chance at neat prizes!